I don't know about you but if you were to ask me what pops into my head when you say the words "night cafe" I'd probably start thinking about late night dining in the beautiful streets of Paris, sipping on a glass of red and enjoying a romantic date with my husband. I probably wouldn't automatically think of a little village in Northumberland! 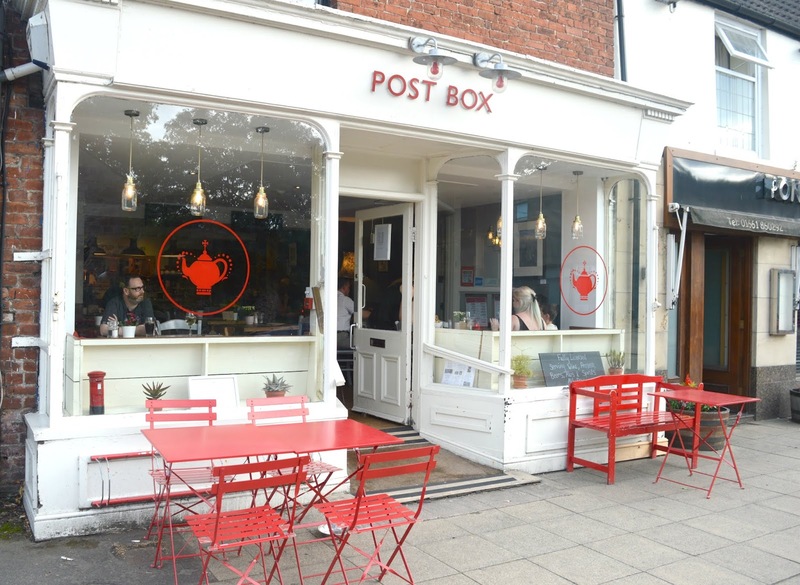 The Post Box in Ponteland are about to change that with the launch of their Night Cafe every Friday and Saturday night. 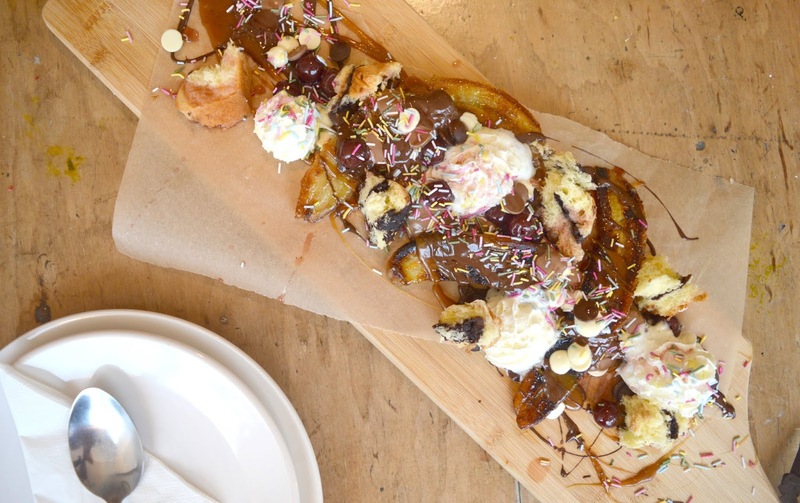 You may remember that a few months ago we enjoyed a really delicious breakfast at The Post Box so when we heard that they would be opening late at weekends we couldn't wait to pop in and give it a try. Getting to sit in one of your favourite cafe after hours feels pretty special and the relaxed dining makes for a brilliant night. With the beautiful long Summer nights we've been experiencing recently we love heading out for dinner in the sunshine and our visit to the The Post Box happened on a particularly beautiful Saturday. We were thrilled to bag ourselves a table by the window, the beautiful late evening sunshine streaming through the glass, a gentle breeze coming from the open door and, of course, prime people watching. 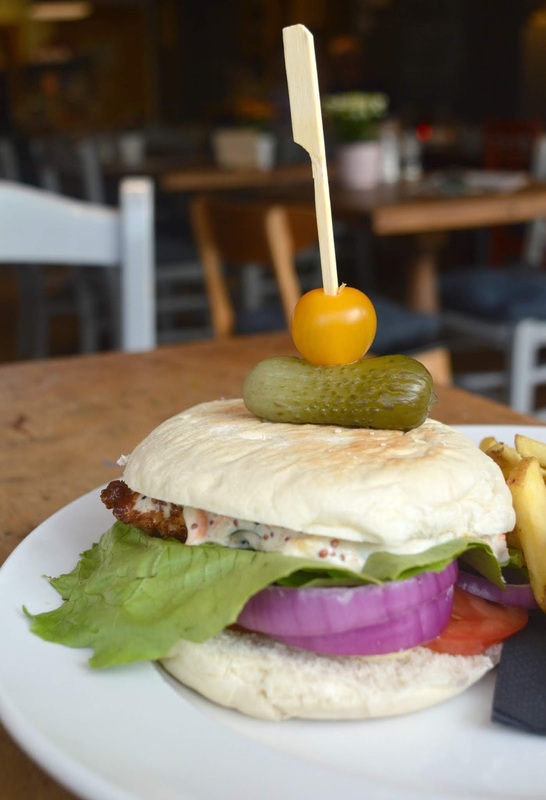 The menu at the Post Box Night Cafe is varied serving a selection of platters, burgers and main meals inspired by visits to French cafes, New York "dirty food", American smokehouses and Caribbean fire pits - a great opportunity to travel the world without leaving Northumberland! 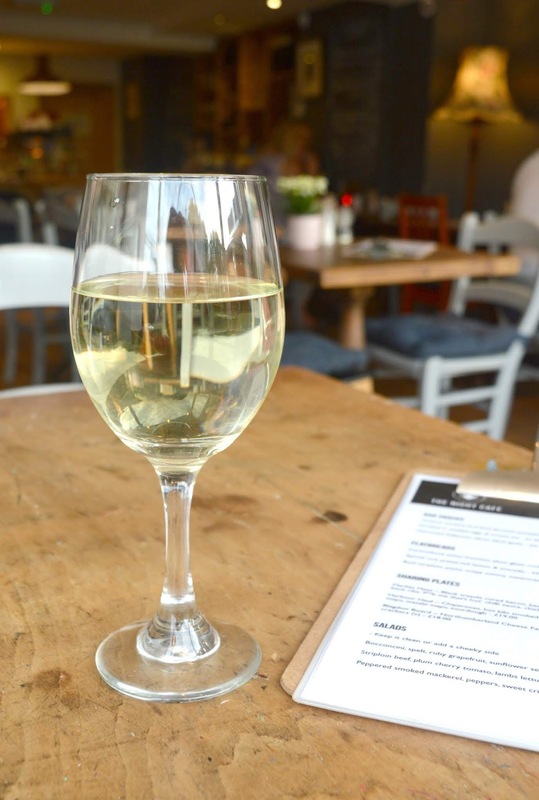 For those wanting healthier options they offer a range of clean food options and if you just want to pop by for a drink or a cheeky dessert it's an ideal spot for a glass of fizz, a hot chocolate or late evening coffee. Although tempted by the epic looking sharing plates (the Blagdon Board filled with local cheeses, frozen grapes, house chutney and charcoal crackers sounded particularly amazing!) we both decided to order from the "Buns" menu. A choice of three burgers each served with house relish, salad and skin-on-fries. As I've heard fantastic reports of the Post Box vegetarian breakfast I decided to go veggie for the night and ordered The Smoked Spice 4 Bean Burger (£7.50). When my dish appeared I couldn't get over the size of the bun! 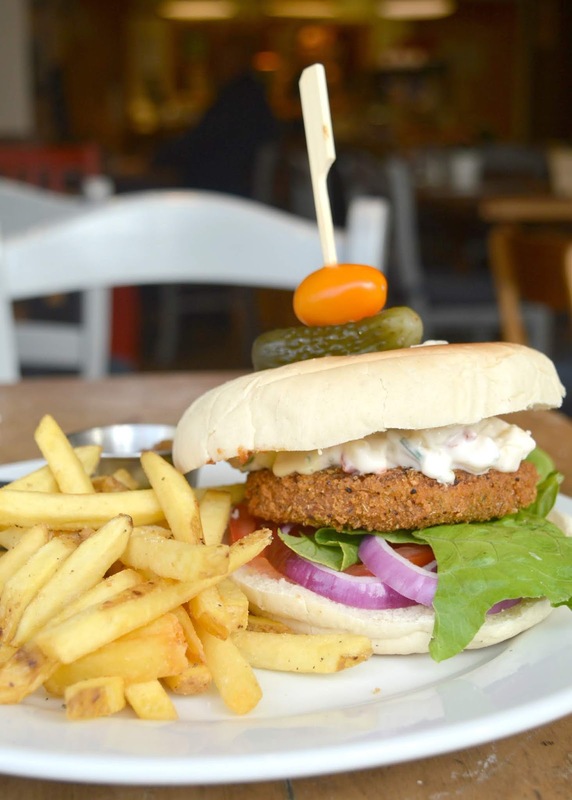 Served on a huge soft bun and packed full with house relish, pineapple chilli mayo and iceberg. The thing that impressed me most about the Post Box was there homemade sauces, these guys seriously know how to make an incredible burger sauce, the combination of flavours in my burger was delicious. Simon opted for the Buttermilk Chicken Fillet (£8.50) with spiced aioli florida slaw, sweetcorn relish and iceberg. Thankfully I managed to convince him to pass it over so I could take a big bite because it was so delicious. We were arguing over who could claim the crown for the best order of the night but I honestly feel like our meal at the Post Box was one of those rare occasions where there was no loser, both of our burgers were fantastic. We didn't really need to order sides as well but we just couldn't resist as plenty of our favourites made an appearance. I ordered the Lobster Mac n Cheese (£6.50) and Simon ordered the Boston Beans (£3.50). I was helping myself to large spoonfuls of one followed by the other and the Boston Beans truly blue me away, yet again the sauce was just outstanding. We were absolutely full to bursting by this point and had been discussing perhaps not having dessert but when we were given the dessert menu and spotted the Banana Split (£5.50) on the menu we decided we couldn't resist and that we'd order one to share. Thank God we did, just look at the size of it! I've never seen a Banana Split like this one, it was absolutely incredible! 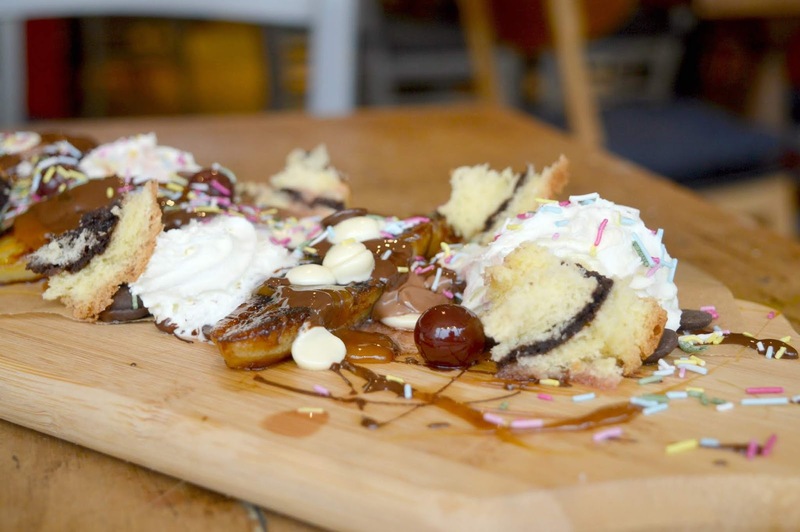 My mouth hit the floor when it turned up at the table - it was stunning - the most perfect mess of delicious caramelised banana, whipped cream, salted caramel sauce, banana bread, banana chips, chocolate sauce, chocolate chips and boozy cherries. I know, I can't quite believe we managed to eat all that either but it was an absolute joy and there was no way I could bring myself to leave it. It was like the dessert from my dreams and I'm so thankful we were greedy enough to order one. I would happily pop into the Post Box just to order this bad boy again! We really loved our first visit to The Post Box Night Cafe and I just can't get over how reasonably priced the menu is for the quality of food. 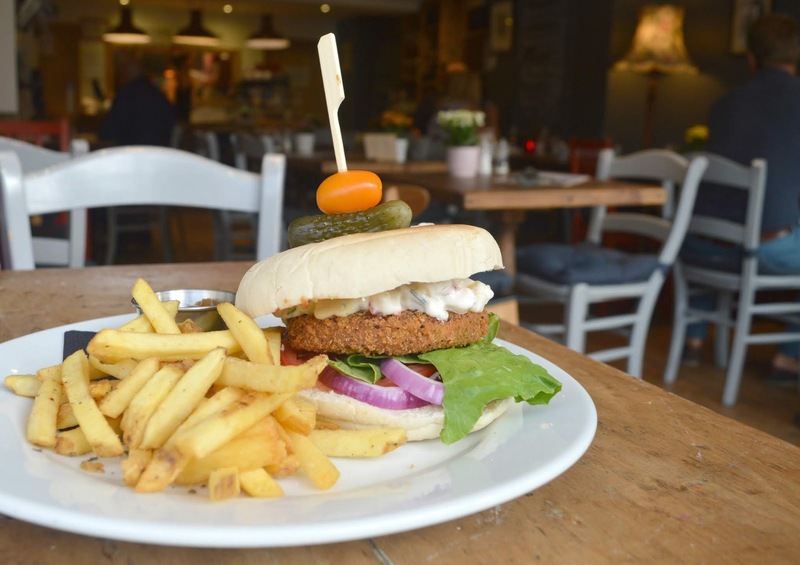 We recently paid over £16.00 for a really awful burger in a restaurant in the Lake District, and the burgers at The Post Box were far superior and half the price! The food was no fuss, proper hearty food in the loveliest surroundings with a really great atmosphere. On our drive home we both agreed that it's the kind of place where we would happily take friends when they visit which is always the greatest compliment! We can't wait to return! 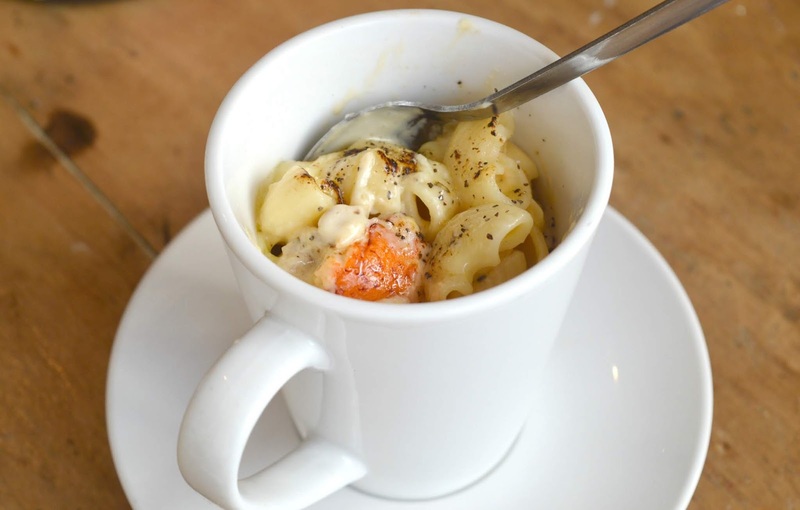 We were invited to The Post Box and enjoyed a complimentary meal in exchange for this honest review, all thought are our own, we had a fantastic night! OMG I live for Mac n Cheese! This place looks so pretty and the food looks spectacular too! YES! It worked so well in the burger!